All Lambeth roads will have a speed limit of 20 miles per hour by the autumn. 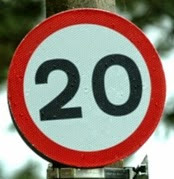 Speaking at our February meeting Councillor Jennifer Brathwaite, Lambeth's Cabinet Member for Environment and Sustainability, confirmed that a 20mph speed limit would be brought in across the borough by the end of August 2015. Consultation is due to start in March with the traffic orders and other legal moves required following on so that the signs and street markings can be installed over the summer. The borough-wide 20mph zone will bring benefits for all cyclists and pedestrians in Lambeth and forms part of making Lambeth the most cycle friendly borough as outlined in the Lambeth Cycling Strategy. Brathwaite acknowledged that key to its effectiveness will be enforcement - Lambeth residents living in one of the existing 20mph zones will know that the 20mph limit can at times seem nothing more than a few signs. Brathwaite stated that she hoped that drivers would be more aware of the speed limit if it was borough-wide and she pledged that Lambeth would begin a public awareness campaign on this issue when it is introduced. Lambeth has been carrying out speed surveys across the borough to provide baseline data with which to judge follow-up surveys of the effectiveness of the measure and highlight areas in need of traffic calming. 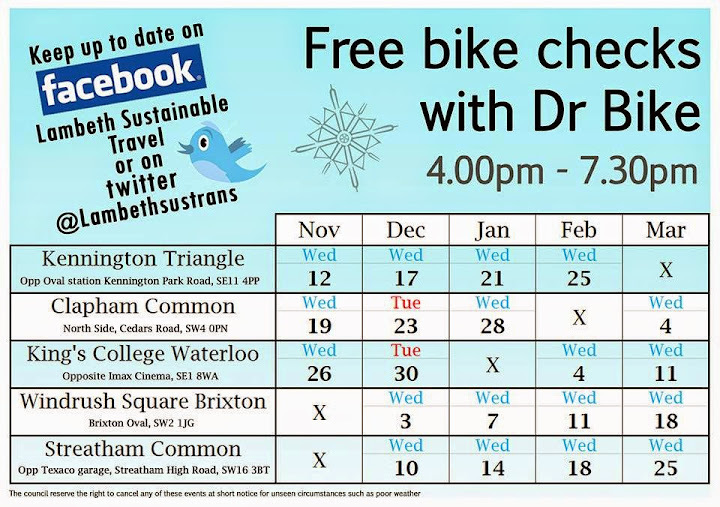 This measure only applies to the roads directly managed by Lambeth - major roads in the borough such as Brixton Road, Clapham Road, Waterloo Road and Vauxhall Cross are managed bv Transport for London which so far has only applied 20mph limits in specific areas such as Waterloo Bridge. Lambeth Cyclists welcome this move as we believe it will help to make Lambeth's roads more cycle friendly and therefore more people friendly. We would like to see the measure extended to all of Lambeth roads including those managed by TfL. 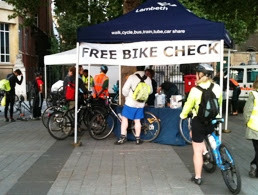 This evening, Wednesday 25 February 2015, Lambeth's Dr Bike team will be offering free bike checks 4 -7:30pm opposite Oval tube station on Kennington Park Road, SE11. Come along and keep your bike ready for continued winter wheeling! In the first Lambeth Cyclists architectural ride (open to all) of 2015, we will discover Nairn's London, some 50 years on. 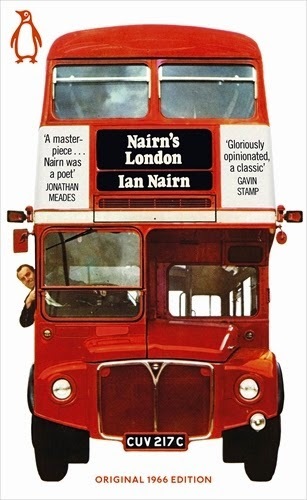 Published in 1966, Nairn's London is perhaps the most provocative, inspiring and elegantly written book on London's architecture. After years out of print it was finally republished by Penguin just before Christmas. On this gently paced ride, led by Charlie Holland, in central London we'll visit a handful of the hundreds of buildings Ian Nairn wrote about in his book, listen to his words, find what (if anything) has changed, and see whether we argue over or agree with his opinion. Expect to see buildings that you've passed hundreds of times but never noticed, and to find yourself looking at London in a sharper and more enquiring way. Bring lock(s) and cash as we'll drop into a pub or two en-route, as Nairn surely would have done himself, and grab a sandwich for lunch.